As a former landscape designer (not a landscape architect, but someone who determined what and where to plant in our client’s gardens) I often focus on the natural plant materials we gravitate towards during each of the seasons and holidays. Not just as living plant material, although some of these do make beautiful landscape plants in the right garden, but the greens that we tend to use in planters (outdoors and in) and table, door and mantle decorations. There’s some great inspiration out there in blogland right now but the site that got the ball rolling for this post was a visit to one of my favorite sites, Debra at 5th and State. She posted a tutorial on how to plant outdoor urns and planter boxes. Debra is a talented landscape designer and I believe she owns 2 or 3 shops. I first found her site during this time about 2 years ago and her topic inspired me to work on my entry urn and planter box. I’ve worked on our urn since this early attempt (below) at copying the examples provided via 5th and State. Even this early, unrefined display was a vast improvement from the boring plant I used to have in this spot. (It’s the old “cobbler’s children have no shoes” around here). The Ilex berries are fake but they offer a spot of color at the front door. That same year I planted my metal planter box with red ivy geranium, I should have known better, they complete their blooming cycle just before Christmas! Other greens and plants that are popular this time of year are boxwood. I love them year round, but I was happy to see that Trader Joe’s offered a 22″ boxwood wreath this month for only $9.95 (thanks for the heads up, Glenys). Even the use of hydrangea, as we see below when mixed with maiden hair fern takes on a holiday flair. It’s wonderful to see plants other than the traditional poinsettia being used for the holidays. I still love poinsettia, especially when I can find the white ones, but there are some fabulous options. The use of birch logs in these urns really give it a wintery look that could easily be on display through the winter months, not too Christmasy, but festive. This months cover of Veranda featured greens that I can’t really identify. They resemble eucalyptus, but the apples, greens mix beautifully with the rustic wood walls and beams juxtaposed against the French mirror, screen and portrait. This is one of my all time favorite magazine covers. These ivy topiary and foxglove on the hearth look seasonal due to the roaring fire in the fireplace, but the plants could be representative of spring just as easily. This boxwood garland is so pretty, I love the deep green color and if it’s the kind that has been treated, it will last forever. Do you have a favorite where winter greens are concerned? I’m over at Savvy Southern Style, linking to her Wow Us Wednesdays, join in the fun if you have time. They are all so lovely it is impossible to choose one!! I do like your urn with the Ibex berries ( I love red berries especially at this of year) and those little snow-white flowers, Impatiens? I have Impatiens in my garden but as soon as the temperature drops they die, perhaps I could substitute white Primrose or winter flowering pansies. I have made a wreath of ivy, conifer, fir cones and red berries for the front door….. Yes, the little white flowers are impatiens and they start looking pretty sad (even in Southern California) around January. But the English primrose really perform for some months…I always assumed they were a staple in England. 🙂 I love pansies and violas for the cooler months. Your wreath for the door sounds pretty. Do you have to mist the ivy to keep it alive or do you plant it in a material where it actually still growing in the wreath? I hope you are having fun this season, I love it. So much great inspiration here and I love the red lantern with the reindeer in the ‘snow’ – very festive! Thanks, Phyllis! I’m having fun and looking forward to doing some baking this weekend. I hope you are enjoying your season. All your photos are gorgeous… as always. And your door looks great… I love garland and white lights. My mom told me about that Trader Joe wreath! I didn’t go and get one, but she took hers apart and used the boxwood material to make little tiny wreaths to hang from her window latches. They are really cute! p.s.- do not think I don’t envy the fact you have impatients and ferns!! Thanks, Victoria. I didn’t buy my small disco balls yet, but I’ve got my eye on them and the day after Christmas, when they are half price, I’m buying me some…I want sun sparkles dappling my ceiling and walls! I wish your mom lived close enough, or had a blog, where she could give me a tutorial on the boxwood wreathes. I would love to have them in many sizes and have at least 4 more spots in my house where a small one would add so much to the decor. P.S. Can’t wait to see what you’ve got going in your dining room! 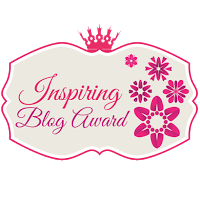 I’m so happy you saw my post…I know my readers will love your site as much as I do and you truly do inspire me to be my creative best. Karen, I was just looking at this months issue of Veranda.. OMGosh, gorgeous right? Love the way your entry appears during the day/evening! My urn looks a bit like the first photo. I’ve planted something with berries (and can’t remember the name because it’s too early and coffee hasn’t kicked in! ), ivy, and my pinecones and topiary of course 🙂 I like the white cyclamen .. however they won’t survive the temps once we start dipping down below 32 degrees. So pretty and thanks for sharing all this gorgeous inspiration! My last day at the office isn’t until next Thursday 😦 I have so much going on this week and I’d much rather stay home (or shop!) and decorate! Thanks for your kind words. I’d trade the beautiful cyclamen for some of your winter weather. I know that seems strange but I love seasons and you even get the occasional snow, right? Hope your work week flies by…countdown until the fun days leading up to the magic of Christmas. We get off on the 21st and don’t have to return until Jan. 2. I’m so excited. I loved the photos of your front entrance! I’m afraid mine looks a little drab by comparison. I think I’ll add some red berries to my boxwood plants to liven things up a bit. Once again, thanks for the inspiration. Debra at 5th and State says to buy plastic berries to avoid them being damaged by rain…Michael’s carries them I think. Thanks, as always for your comments, I truly appreciate it. Karen…Your holiday decor at the front entrance looks beautiful day and night. Thanks for all the beautiful photos. I pinned the one with the open fire. Thanks so much, there is something wonderful about sitting in front of the fire these cool evenings. Best to you. Could this post be ANY PRETTIER? I HAVE ONE of the Trader Joe’s $9 boxwood wreaths on my front door. love it. I love those boxwood wreathes from Trader Joes. Simple but pretty. Have a jolly holiday, thank you for stopping by. I love your site! I love that image of the trees on the truck. And I really love your urn and lantern styling. Paperwhites are my favorite plant of the season. They smell devine. I do love paperwhites. I didn’t get around to forcing them this season but I may pick up some on sale and grow them for the New Year. Enjoy your holiday with your sweet family, Merry Christmas.